A family at my church is taking care of a baby boy that was in need of a home. He is a sweet little boy and that family love him as if he was their own. I heard that they were looking for a taggie blanket, but hadn't bought one yet due to the $20 price tag. When I found out I went home and whipped one up for them! And of course I took pictures of the process. So now you can make one too. Cut your fabric into 12" x 12" squares. Cut 4 strips of each ribbon 3" long. Grab a strip of ribbon and fold it in half. Pin one of each color ribbon to each side of one of the fabric squares. Using the longest stitch length baste the ribbons to the fabric. Lay the 2nd fabric on top of the ribbon fabric. Make sure right side are together. Sew using a 1/4" seam allowance. Make sure to leave a 2"-3" opening for turning right side out. Turn right side out and topstitch 1/4" from the edge. 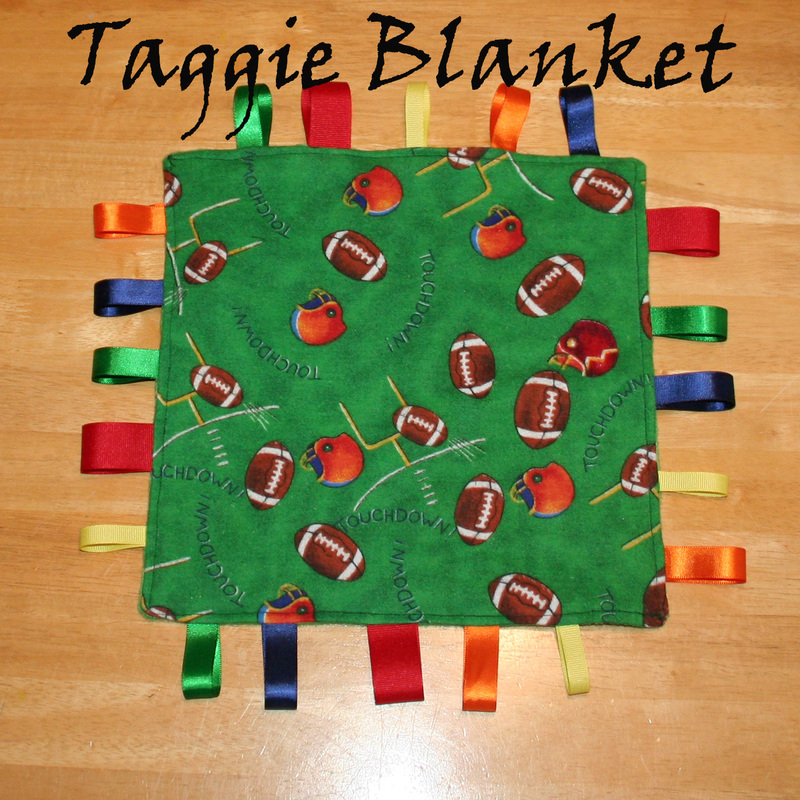 You now have a fun blankie that any baby would love to have! This would a great gift for a baby shower or 1st birthday. What wonderful things you do with your gift of sewing. It's so great to read about the wonderful things your church and family do for your community. 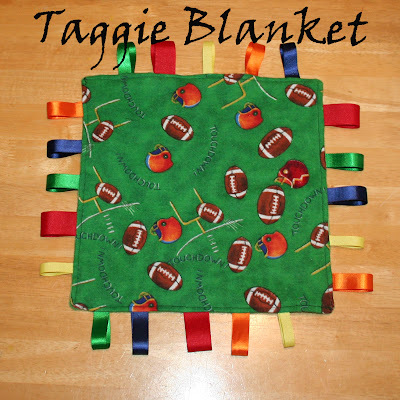 Your taggie blankets are the next projects I will be making and gifting to babies in need. Thank you so much.